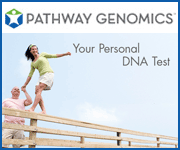 Find DNA testing products and services with expert interviews, informational guide and more. Description: Breast Cancer DNA test. Find health risks using genetic testing. Easy to use DNA test kit. Description: Genetic testing for breast cancer requires genetic counceling, a family pedigree chart showing the genetic makeup of ancestors. Description: Genetic testing — Overview covers why genetic testing is done, preparation and results. Description: A breast cancer (BRCA) gene test is a blood test to check for specific changes (mutations) in genes that help control normal cell growth. Genetic testing is the sampling of genes, chromosomes or proteins to determine the presence of absence of disease, to match another sample for paternity or to predict the probability of disease in the future. Commonly referred to as a DNA test, these tests involve a routine blood sample collection or saliva sample and can be done in a doctor's office, medical clinic or at home using an at-home test kit. To find out more about how genetic and DNA tests work, please read our DNA Test Guide and our interviews with genetic test experts Kristine Ashcraft and Dr. Michael Baird.